Night bus to Vientiane - worth it? Me and my husband are planning a trip around SE-Asia for two months in the beginning of next year. We'll take the slow boat from Thailand to Luang Prabang to spend four days there and then two days in Nong Khiaw. We have two more days to spend in Laos and I thought it would be a great opportunity to take the night bus from Luang Prabang to Vientiane to spend two days/one night there before we take a late flight to Hanoi. But now I read that the road from LP to Vientiane is not that great...and maybe it's too risky to travel at night. If we would travel during the day we would only have one day in Vientiane. 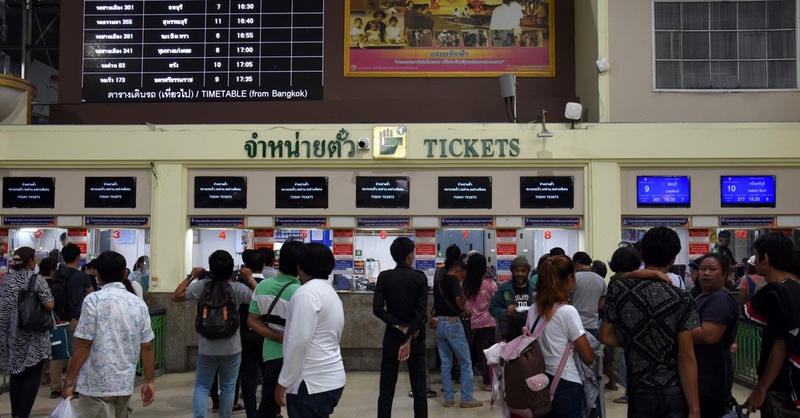 Would you recommend to skip Vientiane completely, take a bus during the day and only have one day in the capital or risk taking the night bus? I'm not a big fan of the overnight buses in Southeast Asia, and would only take one if it were the only option. I personally think they are too risky as well as too uncomfortable. Rather than take the overnight bus, or miss an entire day taking the day bus (although a stopover in Vang Vieng would be worth your time), have you considered flying from LP to VTE? You might also consider flying from Chiang Mai to LP rather than take the slow boat. I know the slow boat sounds good on paper, but unless the experience has improved dramatically, the feedback on Travelfish is that is it an endurance event. To answer your question, I consider the night bus between Luang Prabang - Vientiane to be especially risky. Keep in mind that buses regularly make the trip without incidence, but there are also fatal accidents that often do not get reported in media (brake failure, driver falling asleep, fog). I always recommend travellers fly between Luang Prabang - Vientiane unless they are stopping in Vang Vieng. Vientiane is usually good for a day, max two. You can tick off the typical sights or do a tour like Tuk Tuk Safari. Based on your itinerary I would make a few suggestions. After Nong Khiaw you could always spend a couple more days in Luang Prabang, there's plenty to do, then fly direct from there to Hanoi (Lao Airlines/Vietnam Airlines). From Nong Khiaw you could go to Muang La , spend 1-2 nights, then back to Luang Prabang. Or to avoid backtracking, you can do one day on the slow boat from Thai border/Huay Xai to Pakbeng, then the next day instead of taking the boat to Luang Prabang like everyone does, take the local bus to Udomxai and Muang La (1-2 nights), then Nong Khiaw, then down to Luang Prabang, fly to Hanoi.